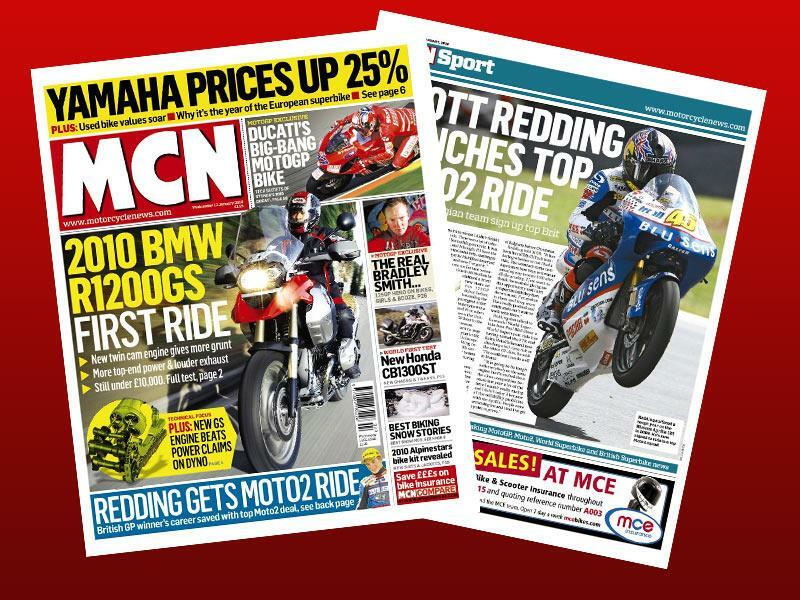 In this week's issue of MCN, on sale January 13, we test the new twin cam BMW R1200GS. We also ride the new Harley-Davidson Electra Glide Ultra Limited. The tech secrets of Stoner's 2010 big-bang Duati. 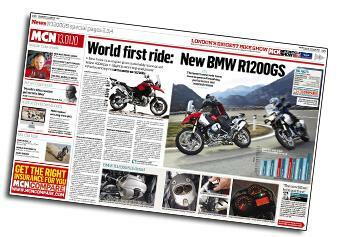 BMW's class-leading R1200GS gets more bottom-end grunt, a rortier exhaust note and sharper throttle response for 2010 - moderate, but noticeable, benefits of the new twin-cam engine revealed on a sneak first ride. 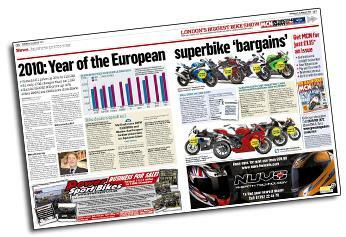 Dramatic 2010 price increases have put Japanese 1000cc superbikes closer to European exotica than ever before. 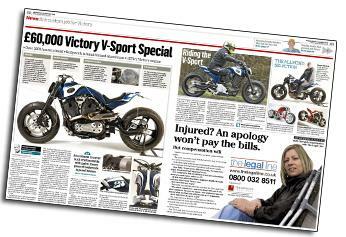 This stunning one-off creation is the V-Sport, a 1671cc Victory-powered custom special by Roger Allmond, arguably the UK's most free-thinking custom designer. 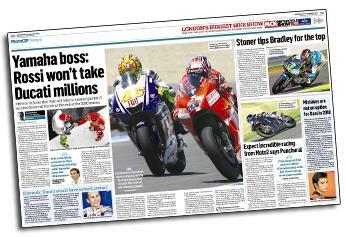 Nineteen-year-old Bradley Smith is Britain's most successful GP racer since Barry Sheene. 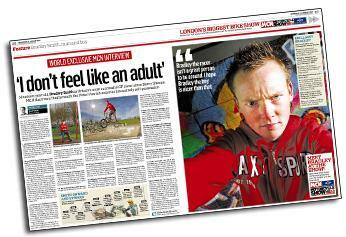 MCN discovers that beneath the Peter Pan-ish exterior lies a steely self-possesion. 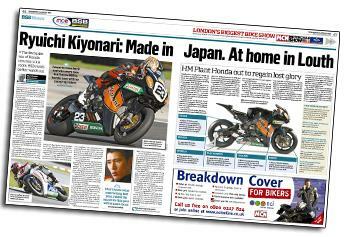 Ryuichi Kiyonari is back in BSB. And talking to him on the phone while he was at home in Japan, last week, it's obvious he's gushing with enthusiasm to be back in Louth with the BSB team. Yamaha boss Davide Brivio reckons Valentino Rossi would be making a huge gamble if he joined Stoner and Ducati at the end of the 2010 season. New BMW R1200GS first ride!